Support initiatives to reduce the demand for drugs and give assistance to community coalitions and drug prevention initiatives. DEA’s Community Outreach Section provides the public with current and relevant drug information about illicit drug use, the misuse of prescription drugs, drug use trends, and the health consequences of drug use. 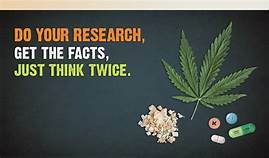 The Community Outreach Section also develops drug information brochures, drug fact sheets, pamphlets, and parent/teacher drug education guides to assist the community in identifying drug use and finding help﻿. DEA’s website,campusdrugprevention.gov was created to support drug abuse prevention programs on college campuses and in surrounding communities. In addition, it serves as a useful tool for college students, parents, and others involved in campus communities. ﻿DEA’s website for teens, JustThinkTwice.com provides credible information about the harmful effects of drug use. The site includes information about various drugs, including facts and fiction about drugs, the consequences of drug use, as well as topics about addiction, impaired driving, and true stories about teens that have had drug problems.